Gourmet Ingredients. Wood fired. Hand-Crafted Dough. World Class Pizza + arcade in Pigeon Forge. 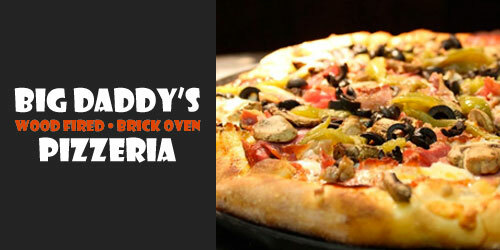 A 550 degree wood fired oven, handcrafted dough, and homemade sauces combine to make this the best pizza you’ve ever eaten. If you appreciate the fineries of wood-fired pizza and local dining, then you have to add this place to your list of things to do in the Smoky Mountains. Fantastic sandwiches and appetizers. 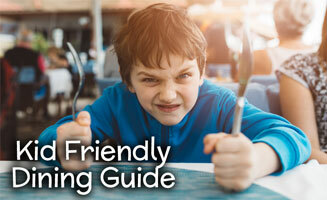 Enjoy your favorite gourmet ingredients while kids flock to the arcade. Satisfaction for everyone! Smoky Mountain Cheesesteak: Alfredo base, mozzarella and provolone cheese, Gorgonzola cheese, shaved prime rib and caramelized onions. 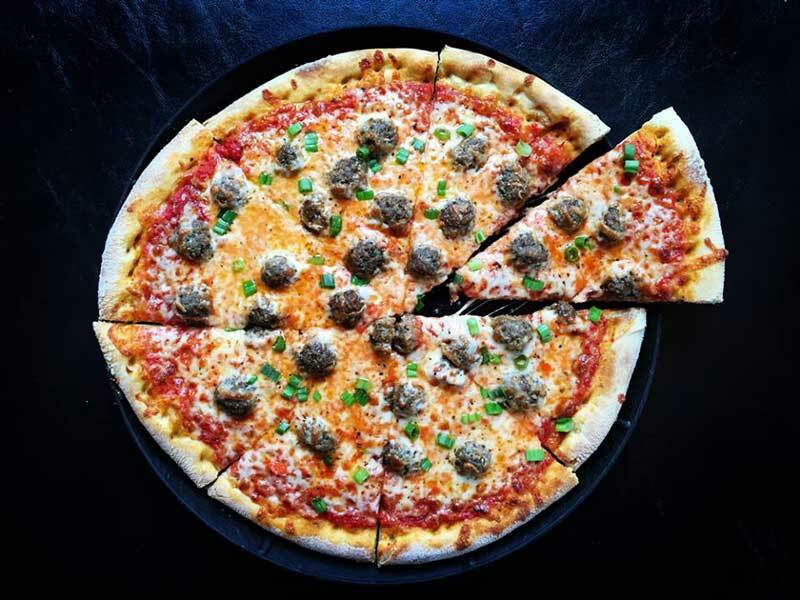 Meatball Mania: Marinara sauce, mozzarella-provolone blend, homemade meatballs and scallions. The Bee Sting: Marinara Sauce, mozzarella-provolone blend, Genoa Salami, and red pepper flakes baked and then topped with honey. Porky Pie: Sweet BBQ Sauce topped with our mozzarella-provolone blend and prosciutto, bacon, black forest ham and Italian sausage. The Carnivore: Marinara sauce, mozzarella-provolone blend, prosciutto, Italian sausage, pepperoni and freshly-seasoned ground beef. Herbivore: Marinara sauce, mozzarella-provolone blend, spinach, Roma tomatoes, roasted garlic, banana peppers, mushrooms, red peppers, and topped with feta cheese. Margherita: Marinara sauce, topped with fresh mozzarella, Roma tomatoes and fresh basil. Chicken Florentine: We take our spinach-artichoke dip and use it as the pizza base. Then we add chicken and roma tomatoes. Creamy and delicious. 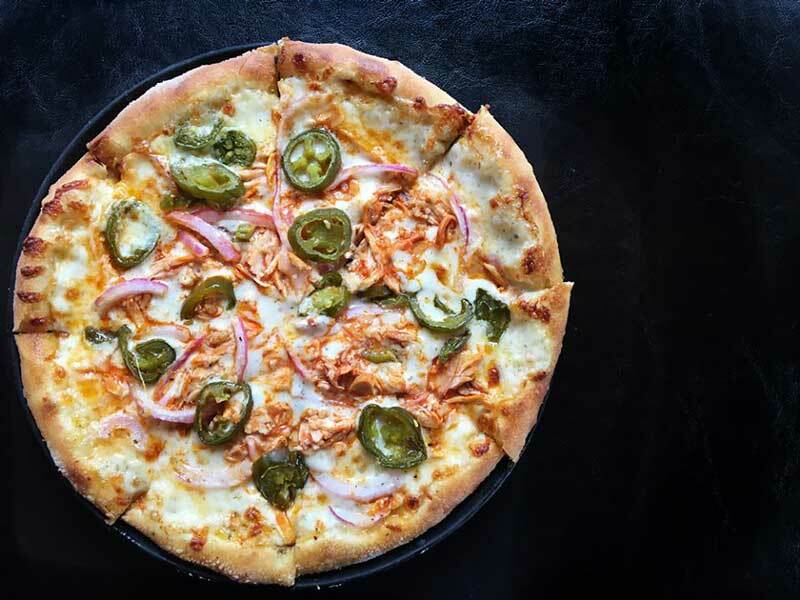 Wing It: Ranch dressing, chicken marinated in our wing sauce, red onions, garlic and jalapenos. The Great White: Alfredo Sauce topped with mozzarella, provolone, ricotta, feta and Parmesan. Cheesy cheesiness! Big Kahuna: Marinara sauce, fresh pineapple, Canadian bacon, goat cheese and our mozzarella-provolone blend. BBQ 4 U: Sweet BBQ sauce, mozzarella and provolone cheese, chicken, bacon, roasted red onions and red peppers. 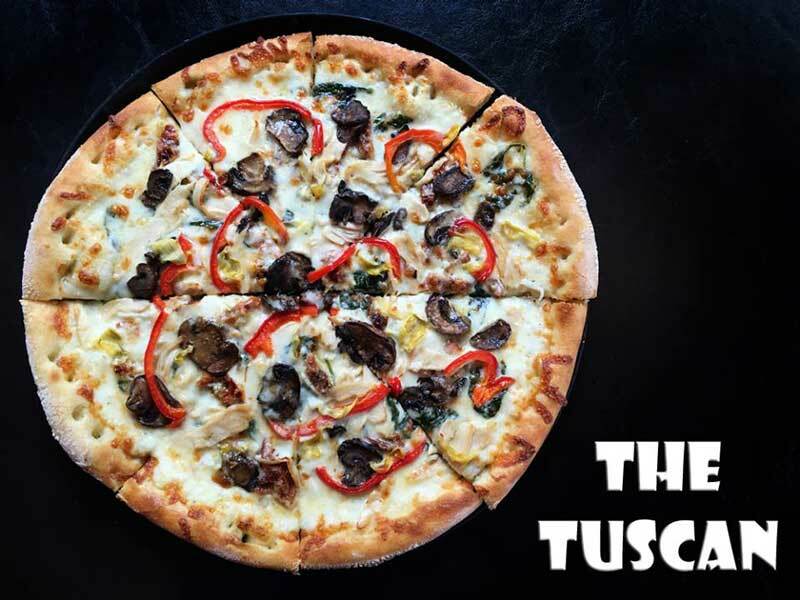 Tuscan Pizza: Alfredo sauce, sun-dried tomatoes, spinach, cheese blend, chicken, mushrooms, red peppers and artichoke hearts. Taco Pie: Refried Beans, ground beef, cheddar cheese, cooked warm and yummy, then topped with shredded lettuce, diced tomatoes and jalapeños, and cheese sauce. For the full menu, please visit our site.